Get the most out of your Virginia Wine Pass without putting a lot of miles on your car. Below is one of several upcoming wine tasting itineraries we’ll be featuring. You’ll be sipping (responsibly!) from one winery to the next in just a matter of minutes. 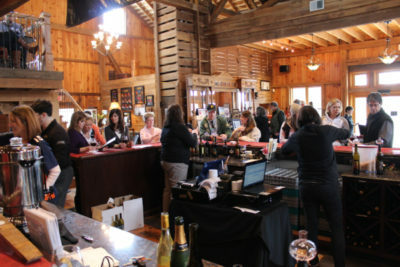 Even better, each of these tasting rooms participates in the Virginia Wine Pass, so just flash your membership card or app subscription, and you’ll get in on the money saving deals and perks they offer. Remember, the 2019 Virginia and Maryland Wine Pass is on sale now! Get it for you and get it for them: It makes a great stocking stuffer for the wine lover on your holiday gift list.